You are gifted, and now is the time to unleash your giftedness. This interactive book provides a step-by-step guide to the art of hand lettering. The best part: no experience needed. Your friends Margaret and Jessica will guide you every brush stroke of the way. You'll learn techniques to create your own word art through easy-to-follow projects, prompts, and exercises. And you'll do it all while reflecting on the beauty of Scripture and inspiring devotions. This is a fun, delightful way to reawaken to God's love for you. 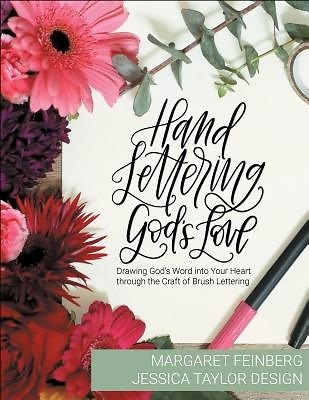 May Hand Lettering God's Love encourage you, inspire you, and spark joy in your journey of faith.